Stingo, an inexperienced twenty-two-year-old Southerner, takes us back to the summer of 1947 and a boarding house in a leafy Brooklyn suburb. There he meets Nathan, a fiery Jewish intellectual; and Sophie, a beautiful and fragile Polish Catholic. Stingo is drawn into the heart of their passionate and destructive relationship as witness, confidant and supplicant. 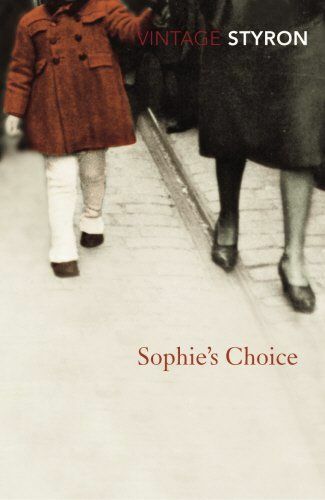 Ultimately, he arrives at the dark core of Sophie’s past: her memories of pre-war Poland, the concentration camp and – the essence of her terrible secret – her choice. The fact that I couldn’t really get involved in this (I read about 200 pages before I gave it up) kind of frustrated me. I was hoping to really get into this – it’s one of the stories that I’ve always wanted to read. And now that I have… I was disappointed.